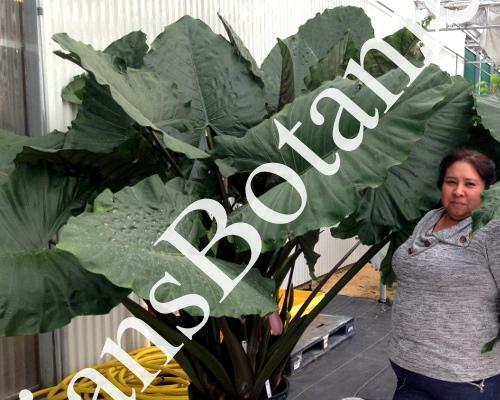 This is a new hybrid with dark pointed upward leaves, arrow shaped and growing 3 to 4 feet long. Leaves are a dark green to gray color while the stems are dark purple. Undersides of the leaves are gray with purple veins. An interesting hybrid I was told it was a cross between Alo. Potora X Alo. princeps purple cloak which is very interesting. It should make for an easy grower with unique foliage and size. Not sure yet of hardiness but I would guess zone 8 to 9.? Plants are sold in 4 1/2 inch pots.